Edward Louis Bernays was an American pioneer in the field of public relations and propaganda along with Ivy Lee, referred to in his obituary as "the father of public relations". Combining the ideas of Gustave Le Bon and Wilfred Trotter on crowd psychology with the psychoanalytical ideas of his uncle, Dr. Sigmund Freud, Bernays was one of the first to attempt to manipulate public opinion using the subconscious. When Bernays was one year old his family moved from Vienna to New York City where he was to spend most of his life. A nephew of Sigmund Freud, he was responsible for financing some of the earliest translations of Freud into English. During WWI, Edward began work for the Committee on Public Information, the vast propaganda machine commissioned by Woodrow Wilson to sway the American public towards war. He became so instrumental he was invited to accompany Wilson to the Paris peace conference. After gleaning a working knowledge of manufacturing consent, he began filtering his own ideas about propaganda's role in influencing opinion through Freud's theories of psychoanalysis. Eventually he fathered his own pseudo-science, and he was its first Counsel on Public Relations, a honorific he invented for his new lexicon of obfuscation. He was hired as a consultant for Calvin Coolidge and orchestrated a photo-op for the president, softening his image. In 1954, he was largely successful in creating a media atmosphere in which the United Fruit/CIA overthrow of the Arbenz government in Guatemala was seen as acceptable. 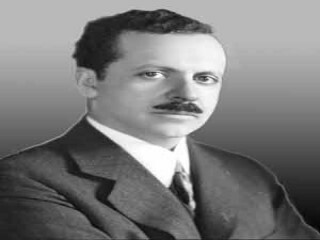 View the full website biography of Edward Bernays.